I drove down to Sandwell to take part in an event organised at this lovely school. Laura Cameron, Senior Consultant, Sandwell Primary Team at HAYS Recruitment had asked me to be part of a wonderful literacy event going on at Hamstead Infants. 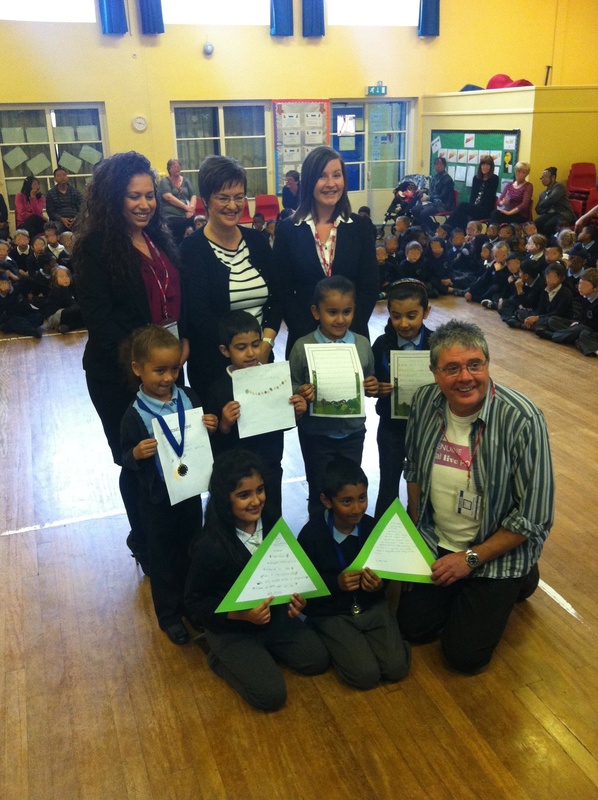 Children had written poems and they received prizes, certificates and a chance to read them out to all the school. The headteacher, Andrea Day was there to make sure it all went smoothly, as was Laura and her colleague Jade. It was just great! 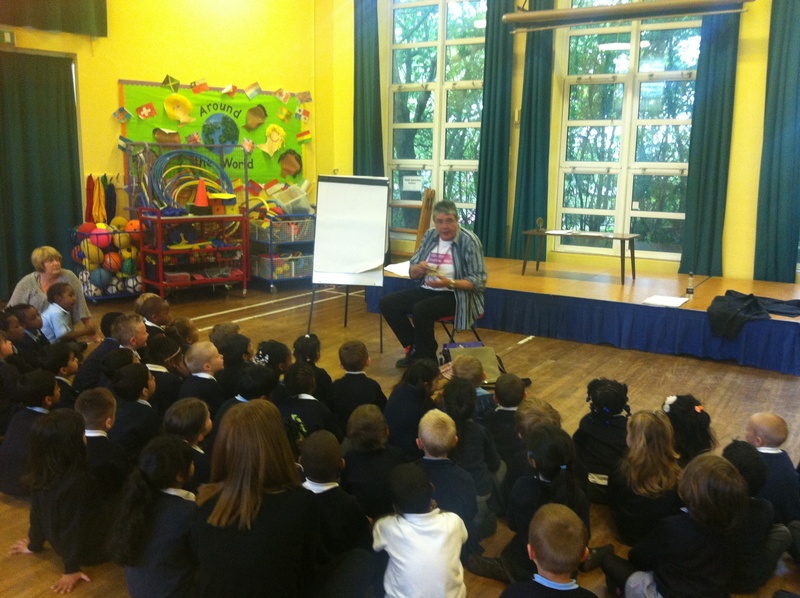 Then I performed poems to all the school and followed that up by running workshops with each class so that EVERYBODY in the school got to make up some poems. I really did have such a great time. Thank you Laura for asking me along, and thank you to every one from the school. One of the school governors watched part of the work I did and wrote a REALLY NICE REOPORT! So, here it is! 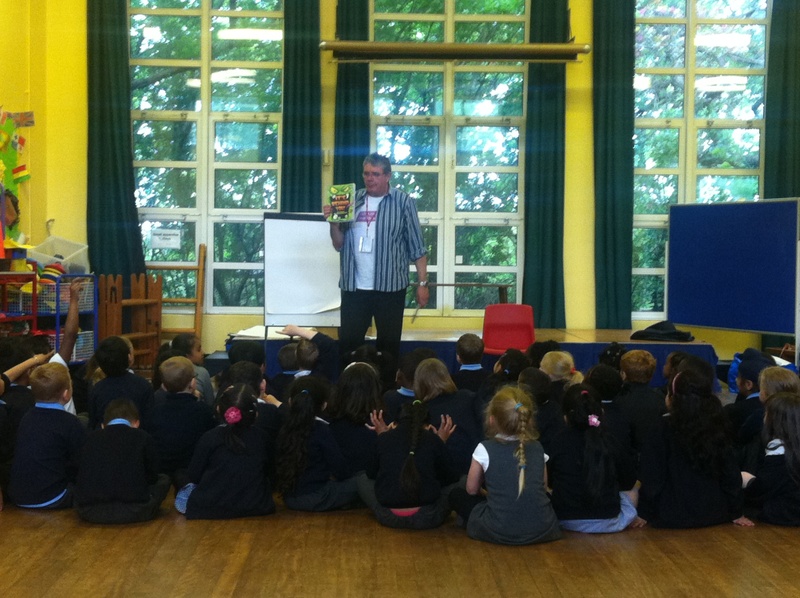 On Friday 24th May, we had a visit from the Children’s Poet and Author, David Harmer. The school held a poetry competition and there was a presentation assembly for the winners/runners up of the competition, which their parents were also invited to attend. There were some fantastic pieces of work and the children were thrilled to receive their trophies and awards for their achievements. 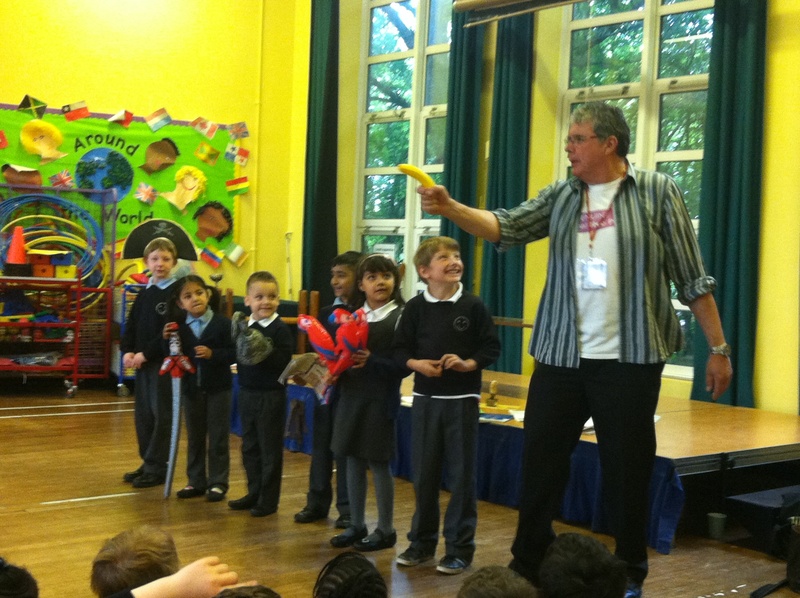 David also recited some of his poems and encouraged the children to join in, using rhythm and rhyme. He made it fun for everyone – and everyone joined in. Some children who had volunteered were chosen to role-play one of his poems, using props and costumes as pirates, and the rest of the children were doing the sounds and actions. It was a wonderful sight to see! David then ran a series of workshops throughout the morning, beginning with Reception, which I was also privileged to attend. The children were enthralled and had a brilliant time making up rhymes and ‘playing around with words’. The workshop was delivered in a fun way, and David was especially good at inspiring the children, using jokes and humour that the children were able to understand and relate to. They were all very excited and motivated as they left to go back into class, and hope that this can be continued and developed further in classrooms. I thoroughly enjoyed sitting in and participating in the morning session. 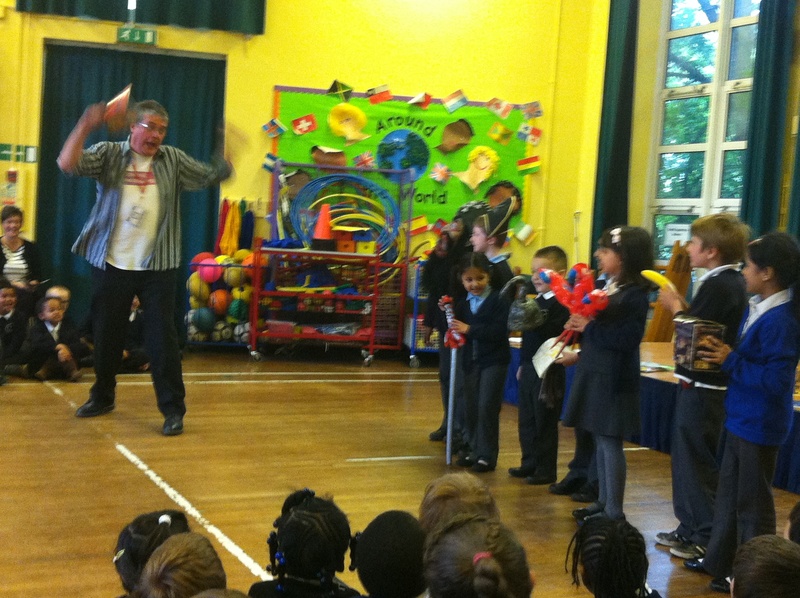 It was wonderful to see the children enthusiastic learning about poetry and words, and delivered in such a fun way. That is SO kind of Jane to say those things. Thank you. This is me reading some SCARY poems!! !